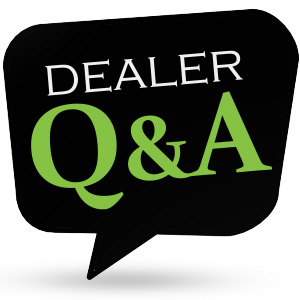 Dealer Q&A: Why Isn’t My Website Showing Up On Google? In this new regular blog feature, ARI’s director of digital marketing, Bill Wagner, answers real dealer questions. In our first installment, Bill gives practical advice for boosting your search engine rankings using SEO. Q: My website isn’t showing up in Google. The site has been live for two months, but still won’t show up on search engines, even for searches specific to my dealership – i.e. ABC Fun Time Yachts in Miami, Florida*. Is there something wrong with my site? A: It sounds like your issue might be Search Engine Optimization (SEO) related. SEO can be a tough nut to crack. At ARI, we set up all of our new dealer sites with basic SEO that conforms to best practices, but it looks like you’re in a particularly competitive SEO environment because you have a fairly common business name and your business is in a very competitive location. You also have a few web properties under the ABC Fun Time Yachts banner, and there are multiple competitors with the same name and very similar URLs. Even with a great website that is fully search engine optimized, it can take some time to build link authority that the search engines recognize so you can outrank those competitors. Link relevance and authority are the key things to focus on when building your web presence for search engine results. If someone types in a question, Google wants to make sure it provides them with the very best answer. So, if someone searches for “ABC Fun Time Yachts, ” Google will serve answers based on its best guess of the right web page that they’re looking for. Right now, Google is basing its results for that question on a pretty long list of businesses with the same name as yours. As a general rule, try not to fixate on the search engine results page for your business name if your business has a common name like “ABC Fun Time Yachts.” Instead, think about the terms customers may use to find your business – locations, brands, products, services, etc. – and make sure there is good content on your site for those terms. Detailed long-tail search queries – think “Sea Ray Yachts in Miami” or “Sea Ray Yacht Dealers near me” instead of short-tail keywords like “Sea Ray Yachts” – are the easiest way to get some quick wins with search engines. I know this doesn’t provide an easy fix for your issue, but the rule in SEO is that we can’t control the search engines. All we can do is send them strong signals that your website is best answer to the search queries that are most important in your local market. Got a question for Bill? Email seo@arinet.com or simply add your question to the comments section on this post! *Dealership name and location has been changed for privacy protection.